A family-friendly park on the doorstep of Tower Hill Nature Reserve and only minutes away from the town centre and swimming beaches. Located in the historic Irish township of Koroit you’ll be sure to experience Irish hospitality at its most charming. 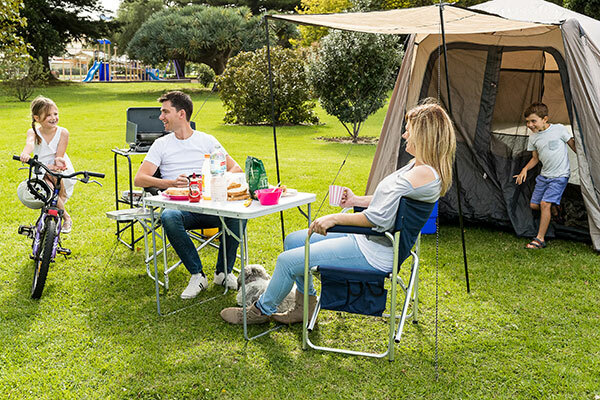 The Koroit-Tower Hill Caravan Park is only a five-minute walk to the Koroit town centre and is located at the beautiful and historic Botanic Gardens. The park is ideally placed right on the doorstep of the Tower Hill State Game Reserve, an inactive volcano where you can enjoy a picnic or walk around the crater to see its wildlife or to study its geology and rich indigenous cultural history. The emus tend to become very friendly when there is food around, so be sure to guard your sandwiches! With public transport to and from Warrnambool and Port Fairy, Koroit is nestled between rolling green pastures and is the ideal place to stay when experiencing all that the region has to offer. Sit back relax and enjoy your powered and unpowered sites as you experience the unique charm and hospitality of the Irish township. With plenty of yearly events, access to the Tower Hill Nature Reserve and sheltered swimming beaches there’s plenty of things to do around Koroit. There’s no need to organise a dog sitter for your next trip away as you can bring him or her along with you. 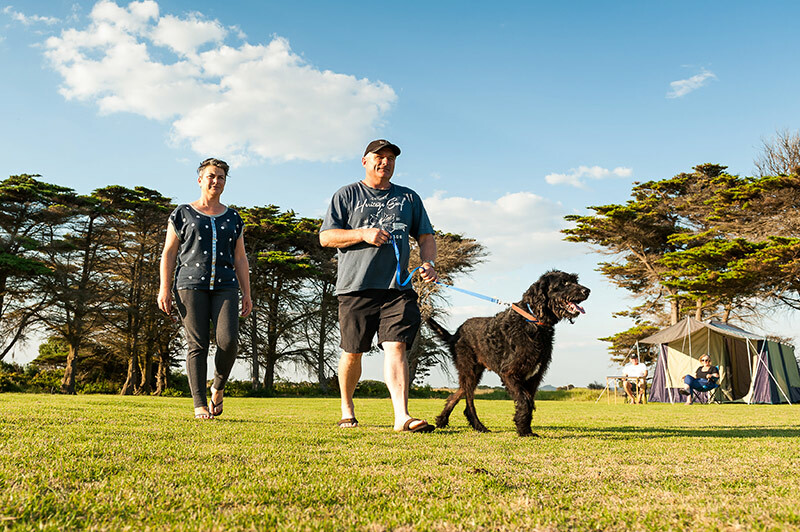 Dogs are welcome at Koroit-Tower Hill Caravan Park as it is a dog-friendly camping reserve.